In addition to our fabulous facilities and outstanding programming, our staff truly separates us from other providers. Our culturally diverse multidisciplinary team is made up of Ph.D. and Psy.D Licensed Psychologists, Licensed Professional Clinical Counselors, Licensed Marriage and Family Therapists, Licensed Alcohol and Drug Counselors, Registered Nurses, and Licensed Social Workers. Under the supervision of several doctoral-level Licensed Psychologists, our mental health team is made up of numerous psychology pre-doctoral interns and master’s-level psychology practicum students. Pre-doctoral interns and practicum students meet individually with clients in our Co Occurring Disorders Programs to assess needs, establish treatment planning goals, and provide individual therapy throughout treatment and aftercare. Our Social Workers help clients secure stable housing, medical assistance, and help in obtaining additional needed resources. The level of professionalism, education, and experience of our staff truly sets us apart from other providers. 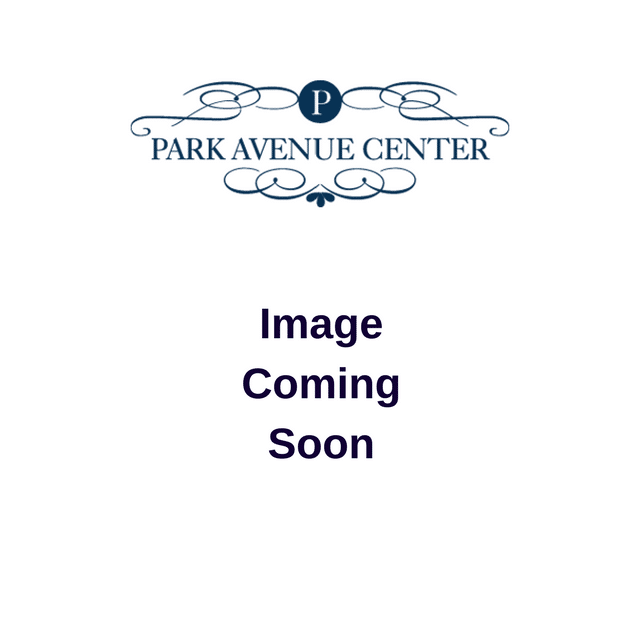 Mark is the Owner and Executive Director of Park Avenue Center. 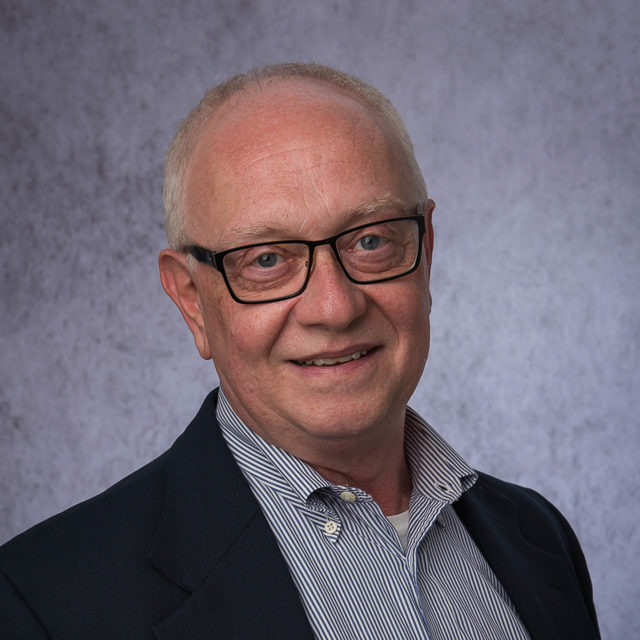 Having been in recovery since 1986, Mark is a Licensed Alcohol and Drug Counselor who attended the addiction program at Minneapolis Community College (now MCTC), earned a BS in Marketing from St. 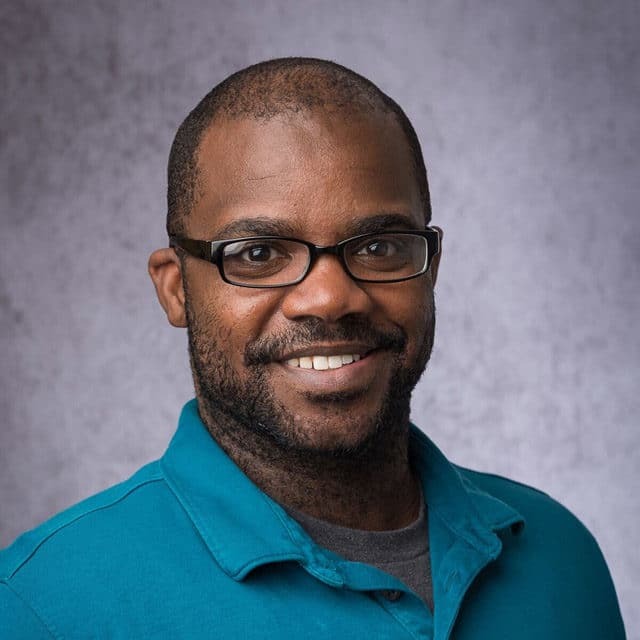 Cloud State University, and earned his Master’s Degree in Counseling and Psychological Services from Saint Mary’s University of Minnesota. Starting with Park in 1994, Mark has had many roles including Counselor, Program Coordinator, Program Director, and eventually purchased Park in January of 2009. Mark is very active in the field of substance abuse and serves on the board of Minnesota’s largest substance abuse trade organization MARRCH where he has also served as President. He has also served on additional non-profit boards including EAGALA and Berkshire Horse Works. Mark regularly lobbies and educates state legislators in addition to working with MN DHS advocating for both clients and providers while implementing many evidence-based strategies. Mark’s passion is leading Park Avenue Center to continue to be “the solution to the broken system”. Linda is responsible for the financial management of the company. She began her career with Park Avenue Center by spending three years in the billing office where she was responsible for implementing the current financial management software. She then returned to her prior career in retail management where she served as a district manager for a major retailer before rejoining Park Avenue Center in January 2009 as the CFO. She attended school at the University of Wisconsin-Stout and Metropolitan State University where she studied retail management and accounting. Jennifer has been a licensed alcohol and drug counselor since 2004. She started her career at Park Avenue Center as a counselor in the women’s program. She then transitioned to a counseling role at We Care Counseling Center in St. Paul. During her time at We Care Counseling, Jennifer assisted in implementing the electronic charting system and developed a four-volume agency training manual. Jennifer returned to Park Avenue Center in 2013 as the Women’s Program Clinical Supervisor before assuming her current role as the Women’s Clinical Director. Jennifer grew up in South Minneapolis and feels her contributions make a difference within her community. Christine (Chris) earned her Master’s in Community Counseling and Chemical Dependency from St. Cloud State University. She began her career after accepting a Float Counselor role in 2011 following her internship at Park Avenue Center. Chris then transitioned to a Co-occurring Counselor in the Women’s Program, and then to a Clinical Supervisor role in the Men’s Program before assuming her current position. Chris is inspired to work in this field to help clients believe in themselves so they can reach their goals. Michelle has over 15 years of experience working in Human Resources. 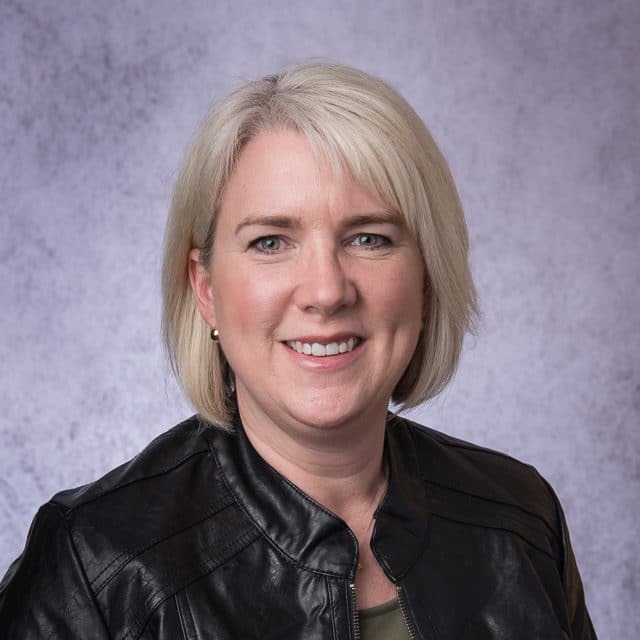 She earned her Bachelor of Science in Corrections from Minnesota State University, Mankato and obtained her Professional in Human Resources certification in 2011. Michelle joined Park Avenue Center in 2017 after working in the home health care field for several years. Michelle is passionate about working for an organization whose mission is to help others improve their lives. When she isn’t working, Michelle enjoys watching sporting events and spending time on one of Minnesota’s many lakes. 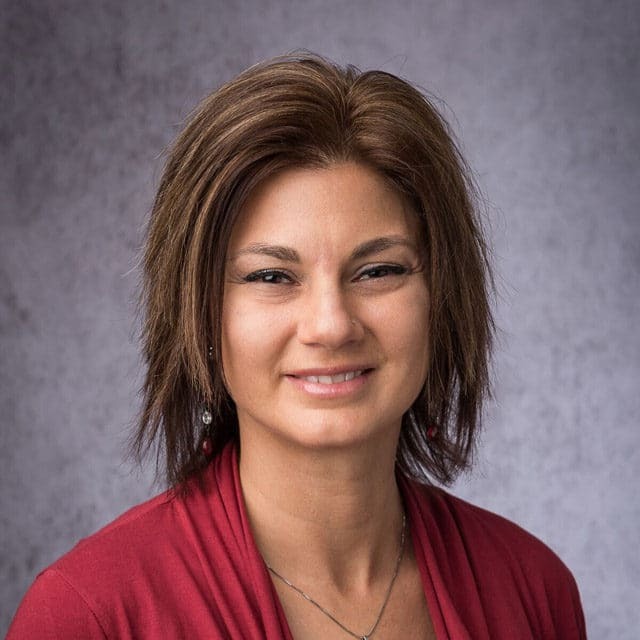 Jen received her Associates Degree in Supervisory Management from Wisconsin Indianhead Technical College and her Bachelors of Science in Business Administration from Capella University. Prior to joining Park Avenue Center in 2016, Jen spent over 17 years focusing on process and people management at Polaris Industries. She is experienced in implementing the principles of lean and change management, and helping to achieve strategic business objectives. Jen’s passion for efficient processes and continuous improvement allow for an effective focus on client care. 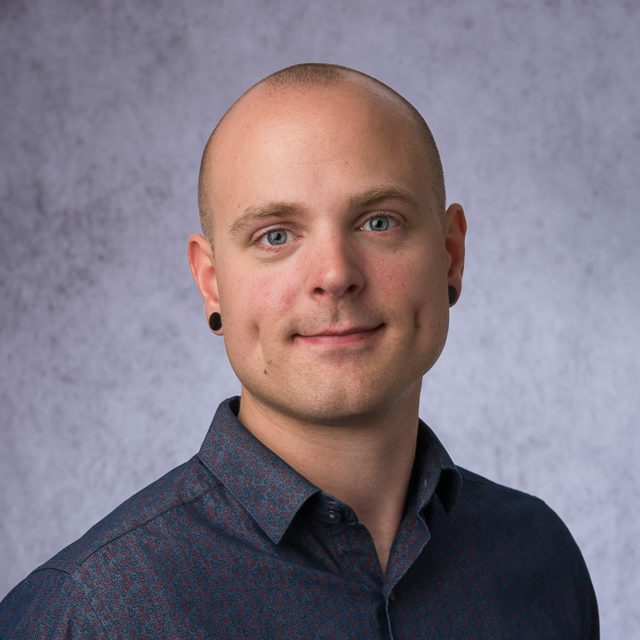 Dr. Josh is a Licensed Psychologist and serves as the Director of Mental Health Services responsible for our training programs as well as the mental health clinic. Prior to his current role, Dr. Josh was the Clinical Director of our Men’s Programs. 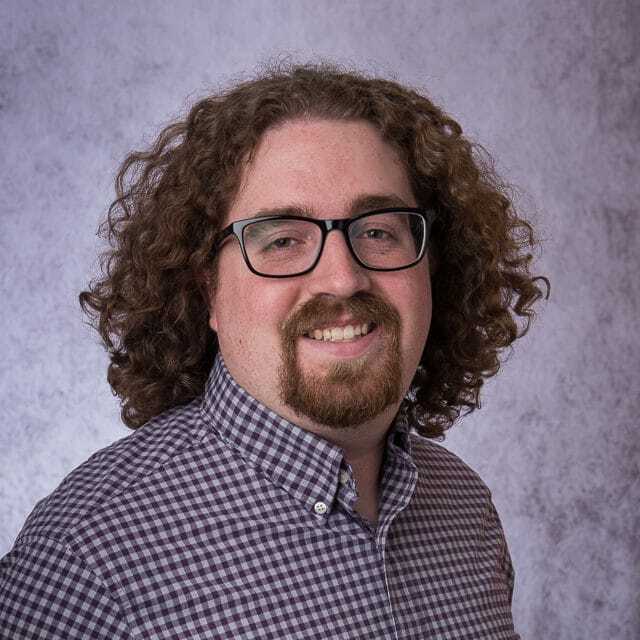 Dr. Josh obtained his Master’s Degree from the University of Wisconsin-Stout and his Psychology Doctorate from the Minnesota School of Professional Psychology at Argosy University. His professional training includes College Counseling Centers, Psychological Assessment, and Co-Occurring Disorders. In addition to his administrative duties, Dr. Weiler enjoys working to find solutions in complex systems, conducting training seminars, and supervising staff. Shira graduated with her BSN-RN degree from the University of Rochester and has been active in the field since 2001. She has previous experience working with substance abuse, mental health, foster care, and both geriatric and pediatric patients. She has most recently worked as the Director of Nursing for Options Residential and as a Case Manager for Brightstar Care. She consider her greatest strength to be her dedication, as a nurse, to caring about the physical, emotional, and spiritual well-being of each person she works with. She was inspired to work in this field because she has witnessed the effects of drugs and alcohol on friends and family and wants to help in making a difference in the lives of others. Chet obtained his Masters in Clinical Psychology and Addictions Counseling from Argosy University. He began his career at Park Avenue Center in 2013 as an intern. Upon completion of his internship he was hired as an Intake Counselor then moved to a Lead Counselor role in the Men’s Complex Co-occurring Program before landing in his current position as Clinical Supervisor. Chet has experience working with co-occurring clients with a full range of mental health conditions including personality disorders. Chet finds his job rewarding because he has the opportunity to assist others in their journey to recovery. 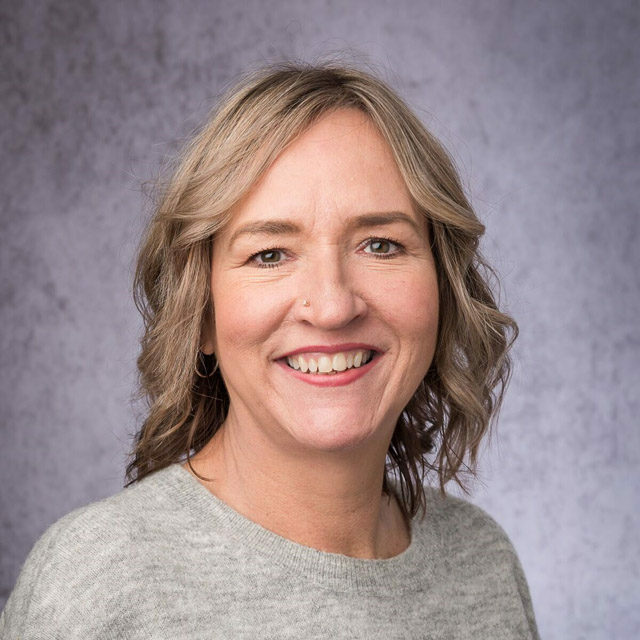 Birgitte earned her Bachelor’s degree in Alcohol and Drug Studies from Minnesota State University and her Masters in Marriage and Family Therapy at Saint Mary’s University of Minnesota. 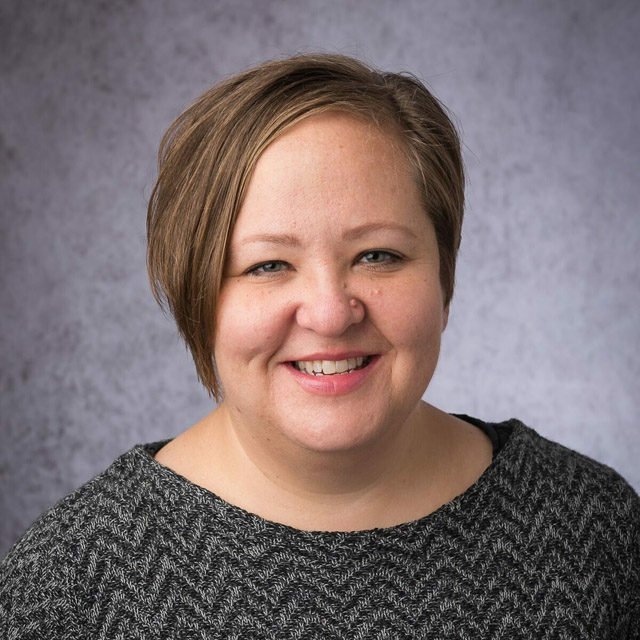 In addition to her responsibilities as Park Avenue Center, she is also an adjunct faculty at Saint Mary’s University of Minnesota teaching in the Addiction Studies Graduate Certificate Program. 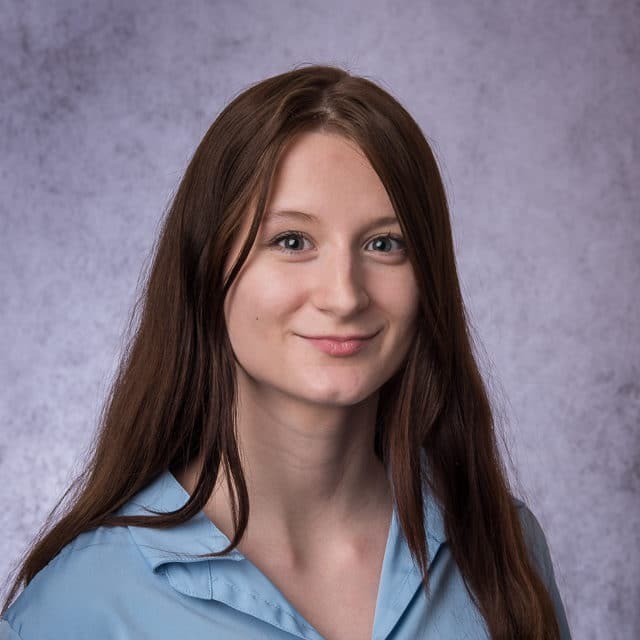 Birgitte’s prior experience includes working as a LADC for adolescents at On-Belay House, interning at Hazelden Center for Youth and Families, and interning at Central Freedom School, a sober high school in Mankato, MN. She joined Park Avenue Center in 2013 and in her current role runs the Addiction and Co-Occurring Internship Program and supervises the couples and family programming while also providing therapy from a systemic perspective for couples, families, and individuals. 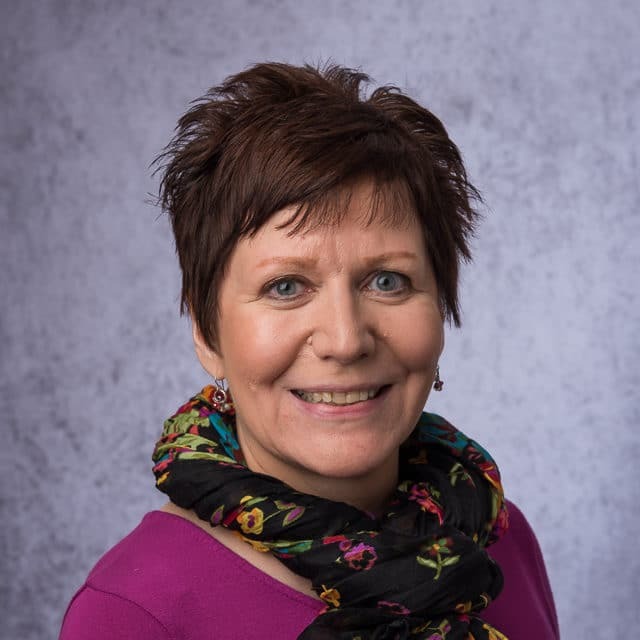 Birgitte is passionate about mentoring interns and developing professionals in the field of mental health, marriage and family therapy, and chemical dependency counseling. 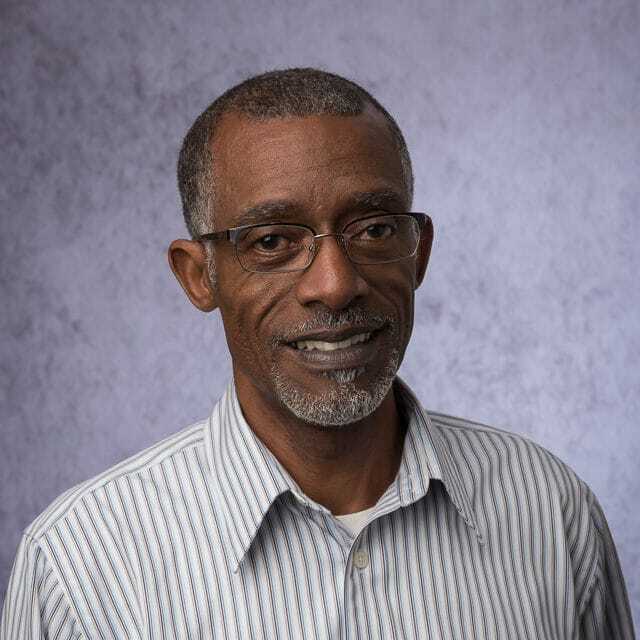 Michael started as the Maintenance Manager at Park Avenue Center in March of 2018. 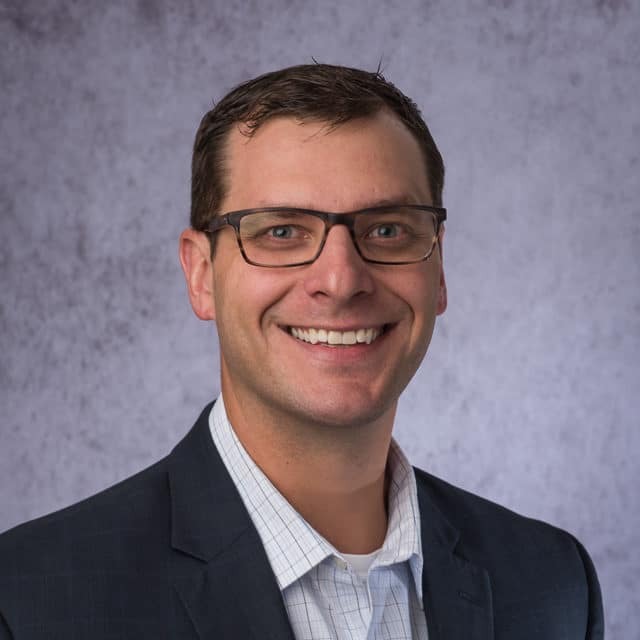 He has a degree in Sales and Marketing from Mankato Technical College and most recently worked as the Director of Engineering at the Westin Edina Galleria. He has worked in the maintenance field since 1996 and considers his greatest strengths to be organization, HVAC, plumbing, and electrical. 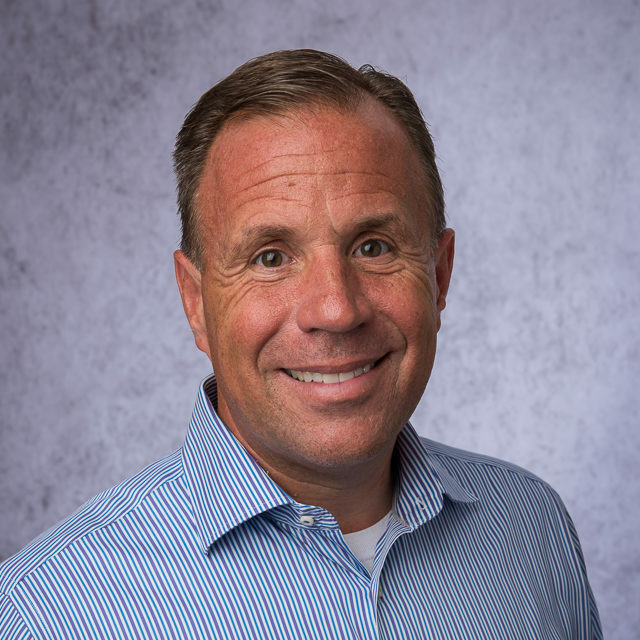 He believes taking good care of the centers and homes has a direct influence on our clients’ well-being and he and the organization are willing to do what it takes to get it done. In his free-time he enjoys classic cars, motorcycles, and spending time with his sons and grandsons. 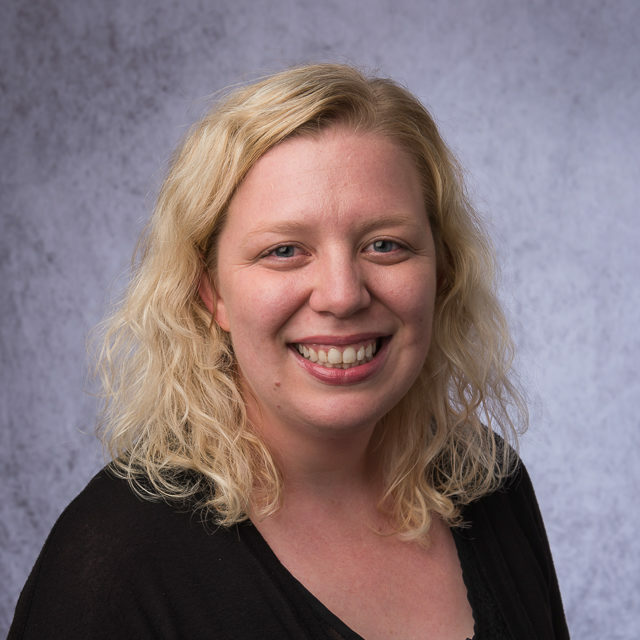 Morgan earned her Bachelor of Science in Social Work from the University of Wisconsin – River Falls and attended Metropolitan State University to pursue her LADC. She worked as a Program Assistant at Meridian Behavioral Health and a Resource Counselor at Kenneidigh KCQ – Dakota Outreach before joining Park Avenue Center in 2015. Morgan started her career as an Intake Counselor then transitioned to a Co-occurring Opioid Counselor. Another opportunity for growth arose and Morgan became a counselor in the Complex Co-occurring Program before landing her current position as a Clinical Supervisor. In the future, she plans to return to graduate school to earn her LPCC. Morgan is passionate about providing quality client care and encouraging self-advocacy and personal growth amongst staff and clients. Sarah Lundgren obtained her Bachelor of Social Work from Metropolitan State University. Sarah has over 15 years of experience in the social work field and has worked with clients who have co-occurring disorders, developmental disabilities, and the elderly population. For four years, she was a Long-Term Care Social Worker at Providence Place prior to joining Park Avenue Center in 2012. Sarah was the first social worker hired at Park Avenue Center and was integral in developing the Social Work Department and Social Work Internship program we have today. Amber received her Bachelor’s degree in Criminal Justice from the University of Wisconsin – Eau Claire. 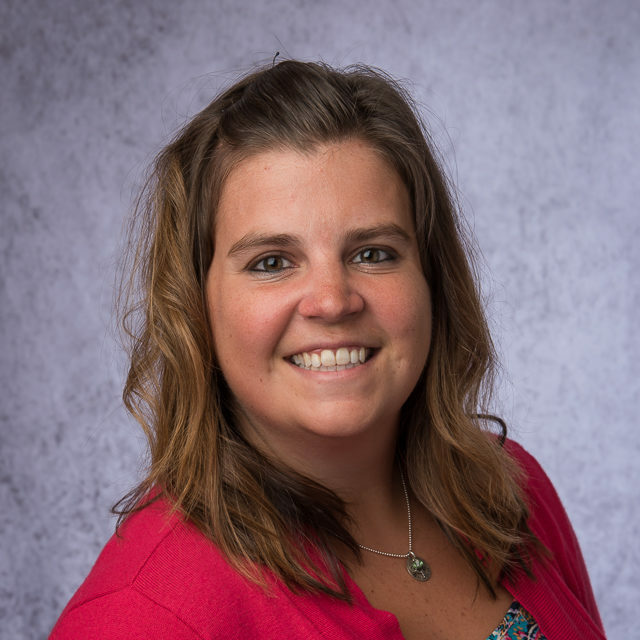 Prior to joining Park Avenue Center in 2015 as a Counselor, Amber worked at Youth Service Bureau and metro-area ISD 622. She has experience in educating youth and communities on various topics involving chemical health. Seeing people flourish physically and emotionally through sobriety inspires Amber to work in this field. John obtained his Bachelor of Science in Psychology and Counseling from Crown College. 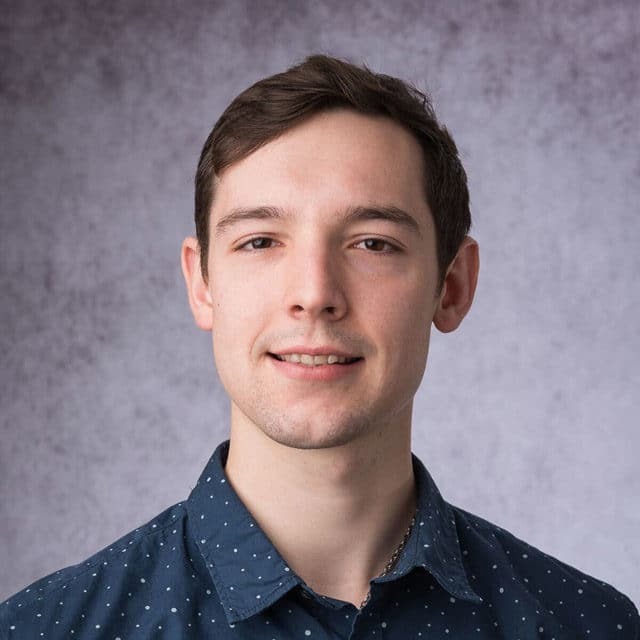 John is currently in grad school at Capella University pursuing his masters in marriage and family therapy counseling. John completed his practicums at Park Avenue Center and Recovery Plus giving him exposure to adolescent and adult client populations. After his internship at Recovery Plus, John joined the Park Avenue Center team in 2016 to continue his passion in empowering clients, encouraging families, and seeing client growth. 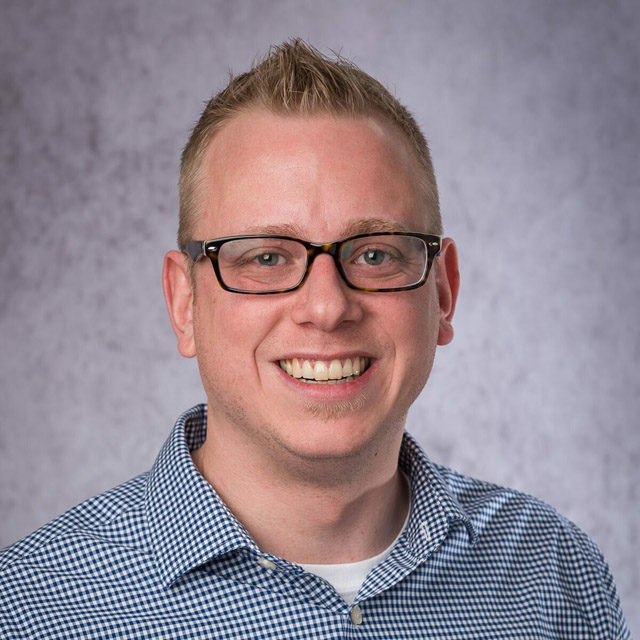 Jeremy came to us with a wealth of experience in the insurance/healthcare field having previously worked with Medica, Healthpartners, and AllinaHealth. He has worked closely with the homeless LGBTQ community, educating individuals on resources available, as well as those struggling with substance abuse, mental health, homelessness, and poverty. He considers his greatest strengths to be his compassion, positivity, and great work ethic. His professional goals include continuing his career at PAC, always putting clients first, and helping in his local community. He is also currently practicing Park Avenue’s value of “Get Better” by attending Minneapolis College to obtain a Business Management degree. 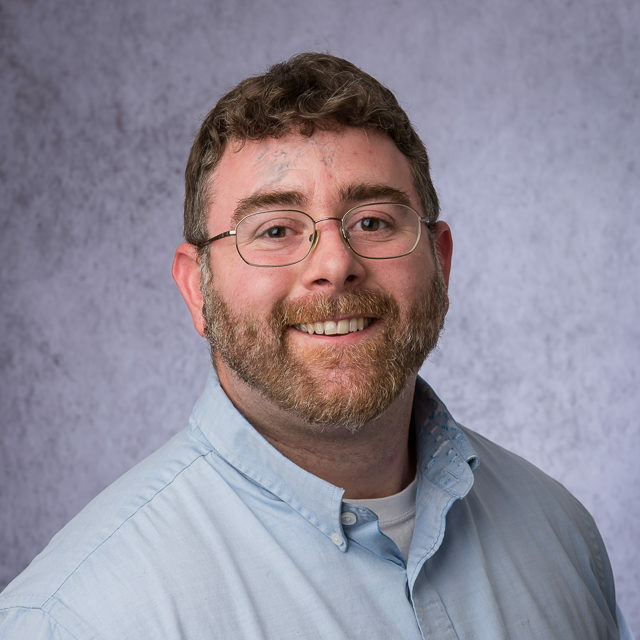 In his free time, Jeremy has volunteered with the Animal Humane Society, NAMI, and Common Hope and enjoys running the lakes in Minneapolis, working in his garden, and relaxing with his husband and dogs and cats. Chet started at Park Avenue Center in 2015 as the IT Manager. 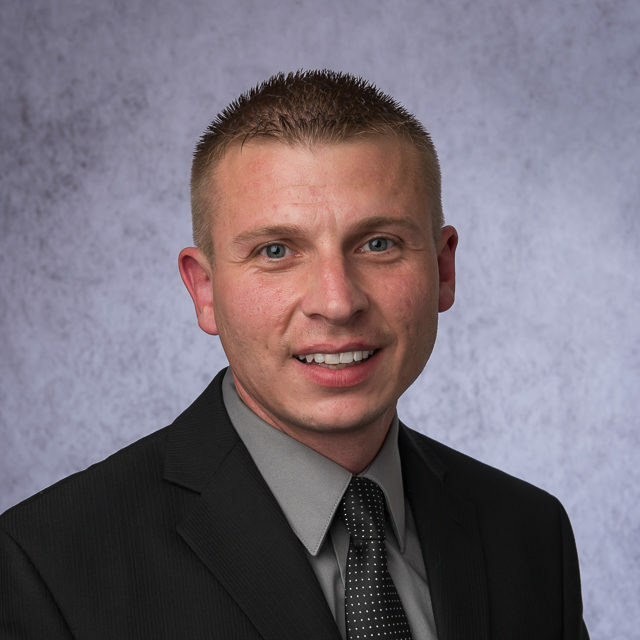 He has two Associates Degrees from Wisconsin Indianhead Technical College (WITC) in networking and web & software development. 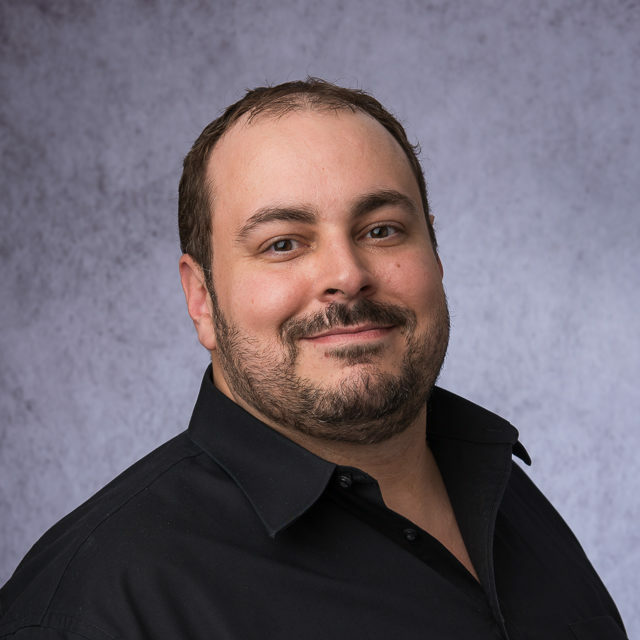 Chet is a Cisco certified networking technician and an advisory committee member of WITC’s Information Technology Council. Chet’s passion lies in allowing technology to deliver the reliable tools necessary to our clients and staff so they can focus on delivering top client care. Jon graduated with his Masters in Clinical Psychology and Addiction Counseling from Argosy University. Jon has been working in the chemical dependency field since 2012 when he began his internship with Park Avenue Center. In 2013 he joined the team full time as a counselor and in 2017 he transitioned to his current role of Clinical Supervisor. Jon leads different efforts at Park Avenue Center including the DWI One Day Program. Angel has been with Park Avenue Center since 2012. She started in the role of Driver before being promoted to Lead Driver, then Driving Supervisor. In 2017 she was named Park Avenue Center’s Operations Supervisor overseeing the Driving and Reception departments. Angel previously worked as an Office Manager with Just in Case and a Mortgage Auditor at U.S. Bank. She works at Park Avenue Center for the clients and to give back to the community. Angel enjoys spending time with family, reading, and cooking when she is not working. She also volunteers at Big Brothers/Big Sisters in serving as a positive role model for youth. Joanne has worked at Park Avenue Center since 2004. 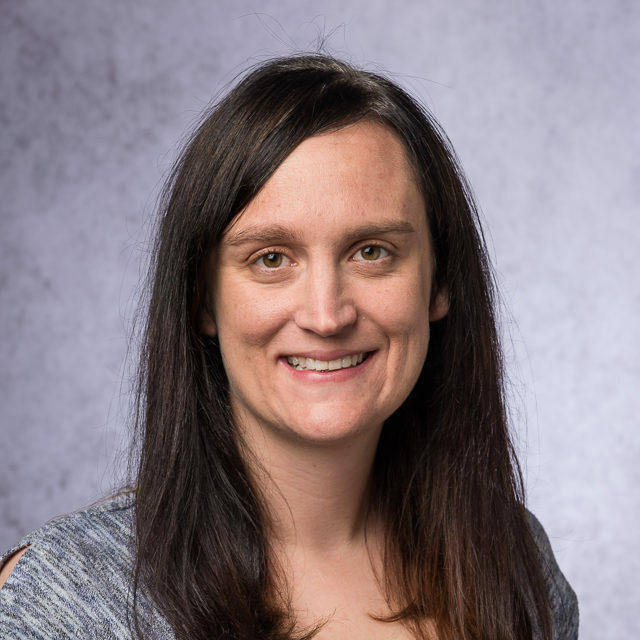 She graduated with a Bachelor of Science in Education from University of Minnesota and worked at Minneapolis Public Schools and Northwestern Bell before joining the team. Joanne grew the admissions department from one person to a team of four. She is focused on developing and maintaining positive relationships with the community and committed to helping clients begin treatment to pursue their journey towards recovery. Nicky attended Metropolitan State University where she earned a BS degree in Chemical Dependency Counseling. 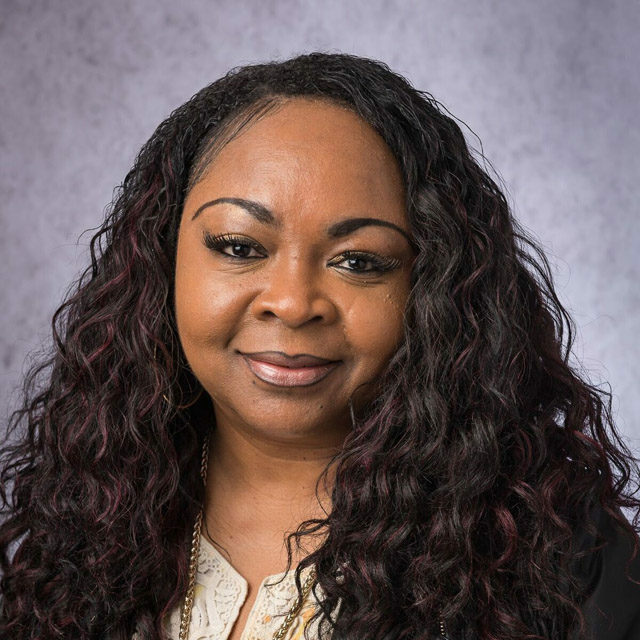 She has been active in the chemical dependency field since 2014 and her previous experience, prior to excepting the position at Park Avenue, includes working as a Counselor with Wayside Recovery Center and the Anthony Louis Care Center. Nicky considers her dedication in advocating for her clients to be her biggest strength and is passionate about empowering her clients to change their lives. In her free time, she enjoys travel and reading. Helen obtained her Bachelor of Arts in Alcohol and Drug Counseling from Metro State University. She began her career at Park Avenue Center in 2014 as an Intake Counselor. Helen plans to continue her education and pursue a master’s degree in alcohol and drug counseling. She attends church regularly and in her spare time, she enjoys volunteering at People Serving People. Helen loves being an Intake Counselor and is dedicated to helping people live successful lives. Tea obtained her Associates of Science in Addiction Counseling from MCTC. Prior to joining Park Avenue Center as a Chemical Health Assessor, Tea completed her internship hours at Vinland specializing in working with those suffering from TBI. Tea has plans to now obtain her Bachelor’s degree and to pursue her social work licensure. Tea chose this line of work and Park Avenue Center because she is truly passionate about helping others and wants to make a difference in the life of those who are struggling with addiction. While Tea is not working or studying, she enjoys watching and researching unsolved mysteries and conspiracy theories. 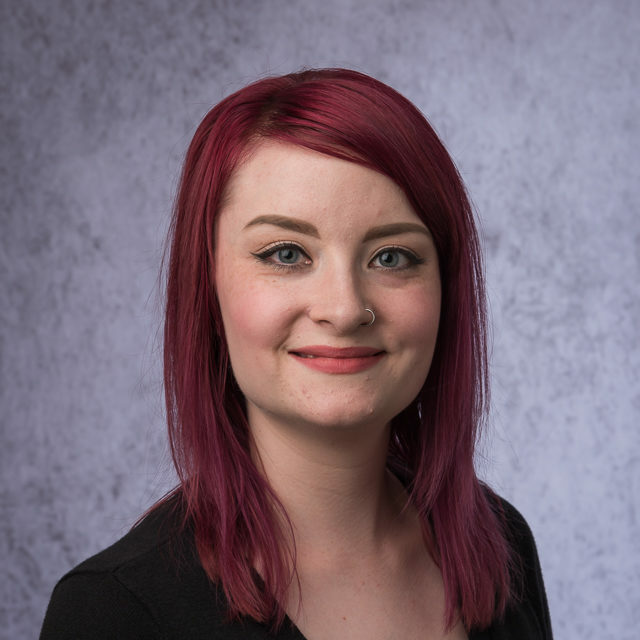 Sarah attended the University of South Dakota where she received her Master of Arts in Interdisciplinary Studies (Addiction Medicine, Clinical Psychology, Educational Psychology, Counseling and Guidance, Criminal Justice, and Sociology). 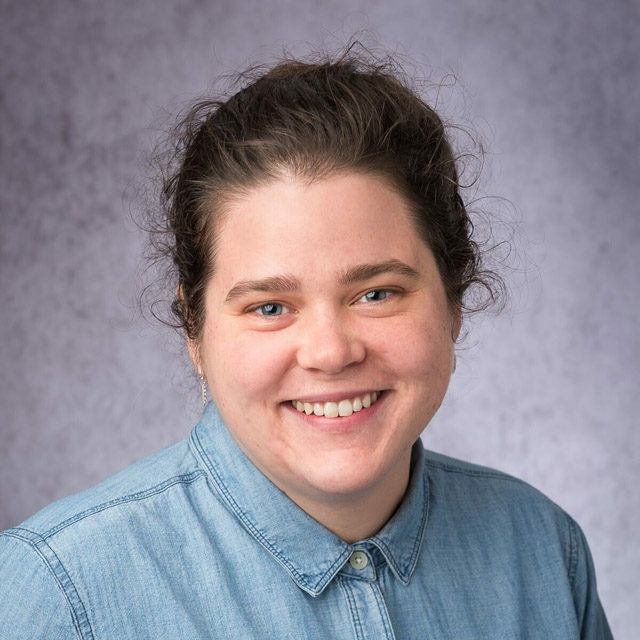 She is an LADC and is currently in graduate school at Saint Mary’s University – Twin Cities, to pursue her remaining coursework for LPCC licensure. Sarah previously worked for ten years at The Superior Treatment Center as Program Director/Clinical Supervisor. She initially began working at Park Avenue Center as a Mental Health Intern, and then transitioned to the role of Senior Float Counselor. Sarah has been awarded numerous scholarships in the field of addiction and compulsive gambling treatment, including scholarships through The Center for Substance Abuse Treatment (CSAT) in 2016 and 2017. Sarah has been an executive board member with The National Rural Institute on Alcohol and Drug Abuse since 2012. She is passionate about working with underserved clients in the community and loves seeing the progress throughout the client’s journey. Sarah spends her free time swimming and golfing. 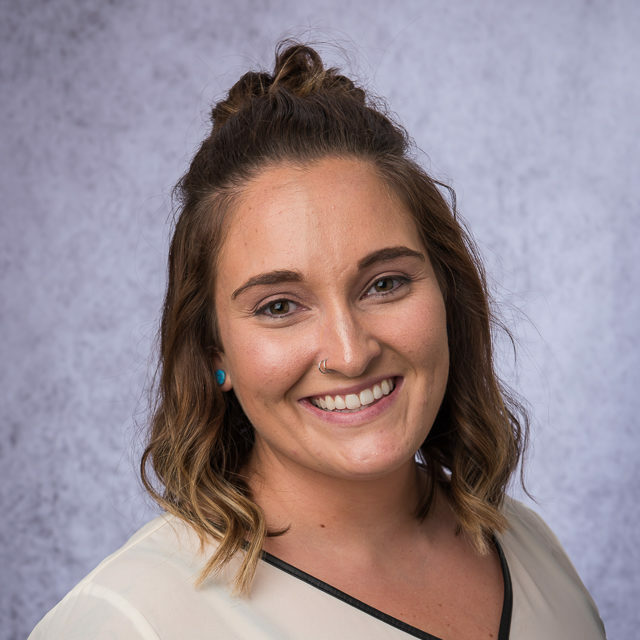 Paige attended the Hazelden Graduate School of Addiction Studies to obtain her Master’s in Addiction Studies: Integrated Recovery for Co-Occurring Disorders. Paige completed her internships at Park Avenue and Wayside House before joining Park Avenue Center in her current role in 2017. Paige is passionate about the work she does and chose to work in this field because she feels compelled to help others. Paige enjoys cooking, spending time with her pup and seeing live music in her free time. 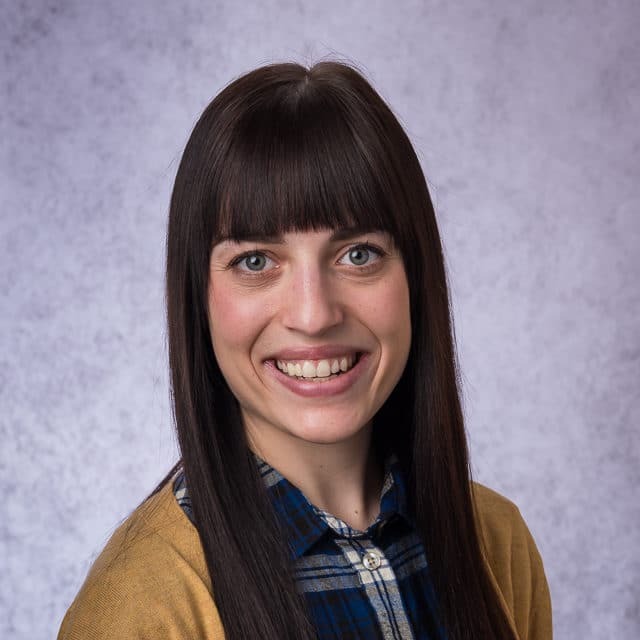 Rachel attended the University of Wisconsin –Stout where she received her Master’s in Clinical Mental Health Counseling with a concentration in alcohol and other drugs of abuse and eating disorders. She obtained her LADC and is pursuing her LPCC. 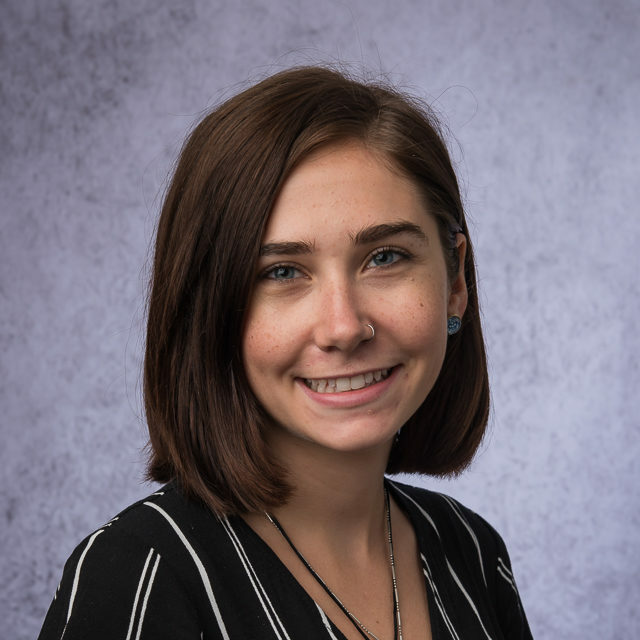 Rachel began her career working at Park Avenue Center as a MICD Intern in January 2018 and upon finishing her internship, accepted the role of counselor. 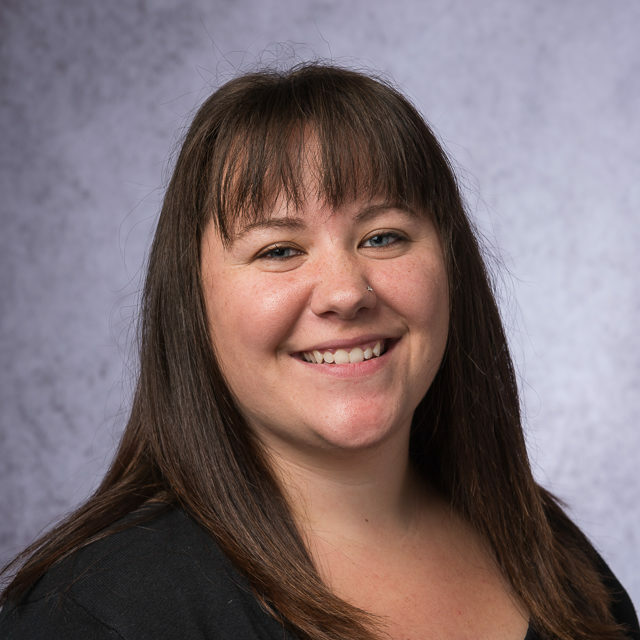 Rachel’s goal is to work her way up to the position of Clinical Supervisor where she hopes to be able to provide guidance and mentorship to new professionals, just as she received when she first entered the field. She was inspired to work in this profession because she is curious and passionate about people and has a drive to help them succeed in their journey through recovery. In her free time Rachel enjoys reading, spending time outdoors, and doing crossword and jigsaw puzzles. Suzannah attended Argosy University where she earned a Master of Arts degree. She completed an internship at Park Avenue Center and worked as a Co-occurring Counselor with Options before returning to Park in her current role. She has worked in the field in many capacities from CD Tech to Counselor since 2012 and considers her greatest strength to be her unconditional compassion. Suzie was inspired to work in this field because of her curiosity regarding the human mind and its’ capacity for healing and transformation and her career goal is to increase awareness of mental illness and reduce the stigma related to mental illness and addiction. In her free time she enjoys spending time with her family and nature. She is passionate about soccer and is Head Coach for a team in her local soccer association. Emily attended Metropolitan State University where she received her Bachelor’s degree in Alcohol and Drug Counseling. She is currently an ADC-T working towards full-licensure as an LADC. Prior to joining Park Avenue Center, Emily interned at a Minnesota Correctional Facility as well as Canvas Health. She has a passion for working with individuals struggling with addiction and desires to give every client the opportunity to change their life and accomplish their goals. Brandyce earned her Master’s Degree in Clinical Psychology from Argosy University. 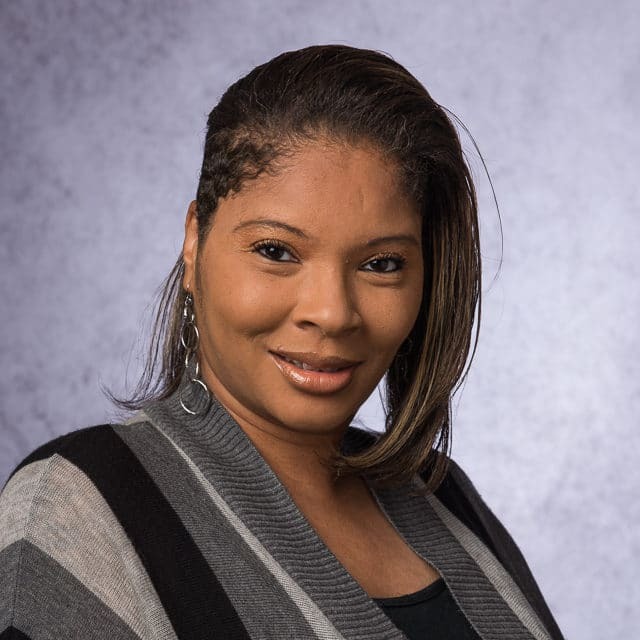 Brandyce completed her practicums at Ramsey County Mental Health Center, Rum River Counseling Center, as well as Park Avenue Center. She then accepted a role as an Intake Counselor at Park Avenue Center in 2016 before transitioning to her current role as a Complex Co-occurring Counselor at the Women’s Program. Matt graduated from the University of Alabama with a Bachelor’s degree in Interdisciplinary Studies and obtained an Addiction Counseling diploma from MCTC. After two chemical dependency internships with Park Avenue Center’s chemical health assessor department, Matt earned his LADC licensure and became a part of the assessor team full-time. After working in a harm reduction program for chronically homeless, active alcoholics for three years, Matt developed a passion for working with clients in this underserved population. He seeks to provide support and find proper treatment opportunities for clients based on their individual needs. Matt enjoys playing ukulele, watching Alabama football, going to music concerts, and traveling in his free time. After a 25-year career in commercial photography and design with Dayton Hudson, Jim switched gears and found his true calling in substance abuse counseling. Jim says that is, “the ability to use my best attributes, which are written and verbal communication skills, to their fullest in serving Park Avenue Center clients in a positive, supportive and caring environment”. Following completion of his degree and internships, Jim was offered a position at Park Avenue Center, in January of 2017. He felt that Park Avenue Center was an ideal professional setting to begin and grow his counseling experience. When Jim is not working, he divides his time between the study of politics, history, psychology, being a fan of alternative pop music, and an aficionado of all things Mid-Century Modern. He is also an avid supporter of events associated with National Recovery Month along with MCTC as an alumnus. Kayla obtained her Master’s degree in Clinical Psychology from Argosy University. Prior to joining Park Avenue Center as an intern, she completed an internship with Safe Haven Domestic Violence Shelter. Kayla plans to work toward her LPCC while she begins her career as an LADC. Kayla is passionate about working with underserved populations and enjoys integrating her interest in the criminal justice system into her work. In her free time, Kayla enjoys spending time with friends and family and cheering on all Minnesota sports teams. Jessica began working in the Chemical Dependency Treatment field in 2012 before joining Park in 2017. 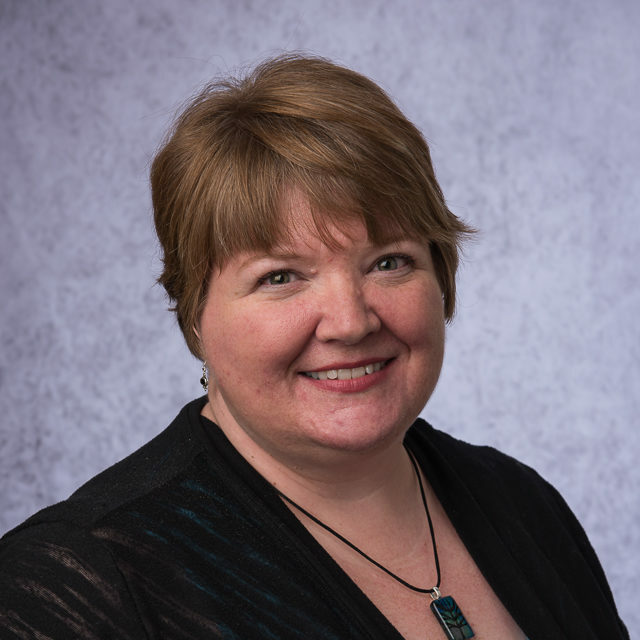 She earned her Bachelor of Science in Psychology and Criminal Justice from the University of Wisconsin – Eau Claire and her Master’s in Clinical Mental Health Counseling with AODA Concentration from University of Wisconsin – Stout. Jessica joined Park in 2017, as a Primary Co-Occurring Counselor in the Men’s program. During the fall of 2018, Jessica took the opportunity to transition to Park’s Women’s building to fill in for a co-worker and gained experience working with the Hennepin County Drug Court Team. Upon her return back to the Men’s Program, Jessica accepted the role of Lead Complex Co-Occurring Counselor. She has the goal of becoming a Clinical Supervisor and working with other clinicians in-training. In her free time, Jessica enjoys meal prepping, working out, and spending time with family and friends. Tom earned his Bachelor of Science in Psychology from St. Cloud State University and his Diploma in Addiction Counseling from MCTC. Tom has been in the field since 2014, beginning as a Youth Counselor at St. Cloud Children’s home providing trauma-informed care to clients. He then transitioned to be a CD Tech at Anthony Louis Center prior to beginning his internship at Park Avenue Center. Tom joined the Park Avenue Center team in 2016 as a Clinical Support Specialist before assuming his current role as a Counselor. Tom is passionate about empowering clients to improve their lives. 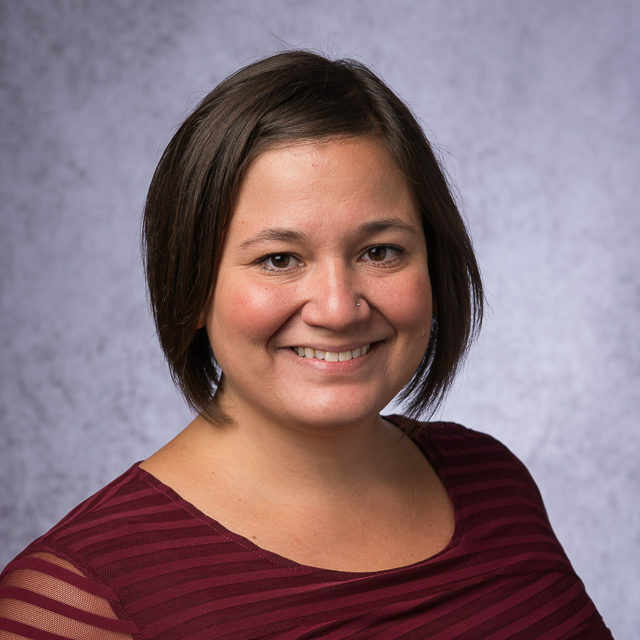 Melanie attended St. Mary’s University and graduated with a Master of Arts in Marriage and Family Therapy, and is a Licensed Marriage and Family Therapist in the state of Minnesota. Melanie completed an internship with Park Avenue Center and worked as a school-linked Family Therapist with FACTS prior to returning to Park Avenue as a full-time Intake Counselor and Outpatient Therapist. Her professional goals are to continue to develop as a culturally responsive and trauma informed therapist. Melanie considers her greatest strength and skills to be compassion, building relationships, managing big emotions, creativity, and remaining open-minded. She was inspired to work in this field and at Park because she is passionate about helping underserved clients overcome barriers and strive for positive change. In her free time, she enjoys spending time with her family, playing with her pets, and restoring her 100 year old house. Katrina obtained her Bachelors’ degree from Metropolitan State University and is currently an ADC-T working towards full-licensure as an LADC. She came to Park Avenue Center from Transformation where she worked as a counselor for the past 5 years and previously completed her internship with Catholic Charities. 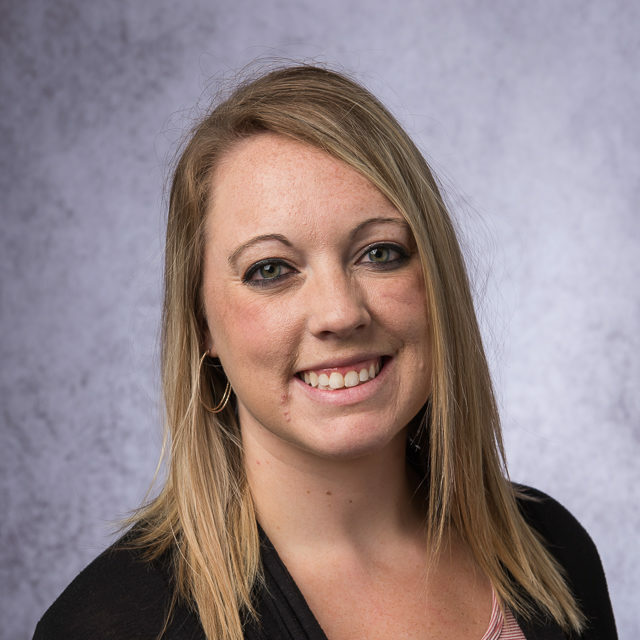 Amber obtained her Associates degree in Addictions Counseling from MCTC in 2016 and Bachelor of Science in Psychology from the University of Wisconsin – Eau Claire in 2010. 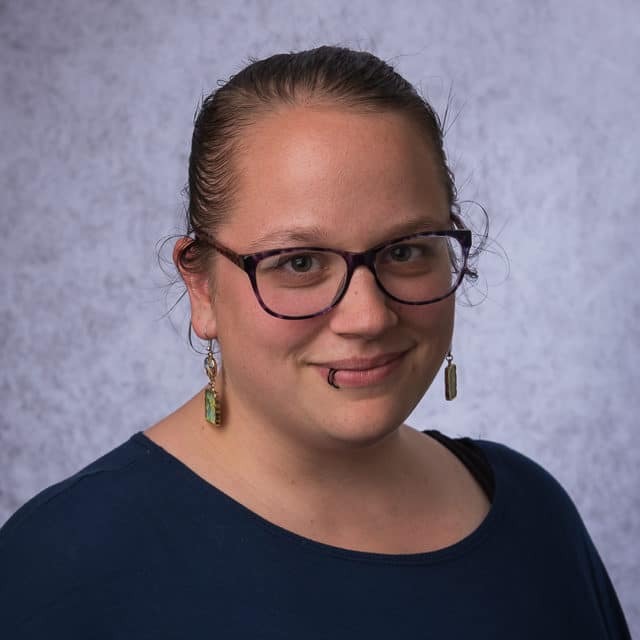 Amber previously worked for four years at Eau Claire Academy learning creative and effective skills to work with adolescents in crisis situations. She interned at Park Avenue Center in 2015 and joined the team as a counselor in 2016. Amber chose to continue her career at Park Avenue Center because she believes in the work we do with our clients. 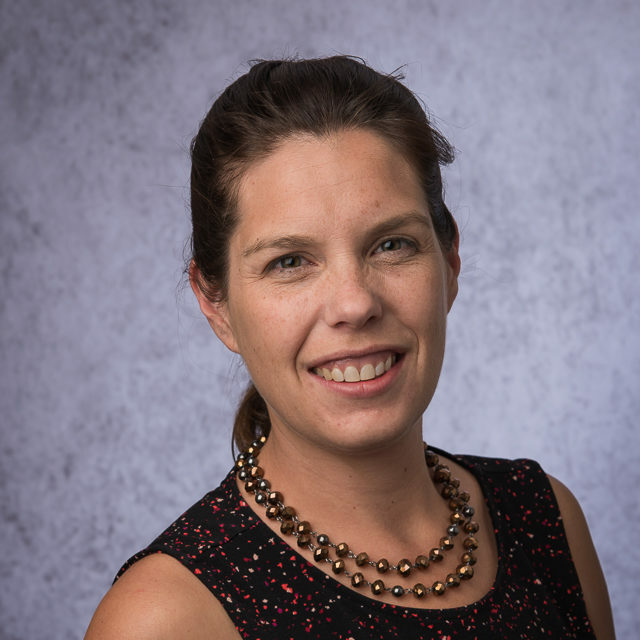 Sunni earned a Master’s in Child Development and Family Relations from East Carolina University and a Master’s in Clinical Mental Health Counseling from the University of Wisconsin – Stout. 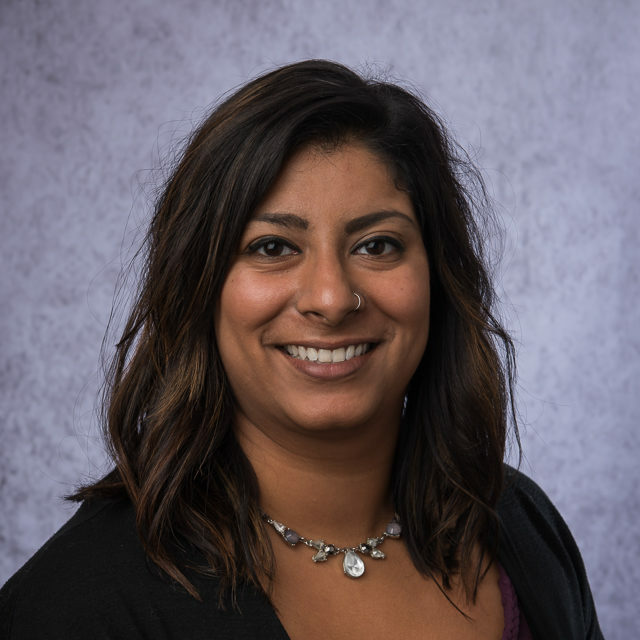 Prior to joining Park Avenue Center for her MICD internship, Sunni worked at Marathon County Special Education as an Elementary Education Special Education Teacher. Once finished with her internship, she joined the team as an Intake Float Counselor, before moving into her current role. Sunni is working toward obtaining her LPCC and when she has free time enjoys traveling, playing board games and spending time with family. Gina earned her Bachelor of Science in Addiction Studies at Metropolitan State University and her Diploma in Addiction Counseling from MCTC. She joined the Park Avenue Center team in 2015 and is passionate about helping others make a positive difference in their lives. Gina volunteers in the community and enjoys helping clients navigate through obstacles in their path to recovery. 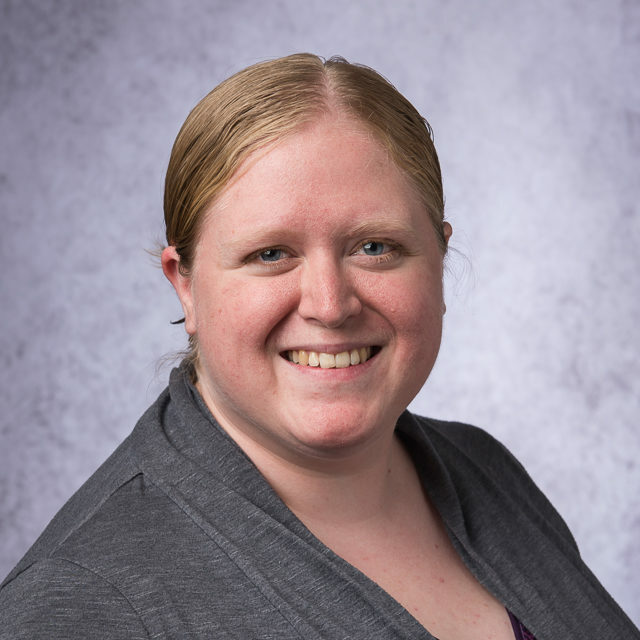 Jennifer began her career at Park Avenue Center as a Counselor in the Women’s Program before going back to school to pursue her Master’s Degree in Clinical Counseling from St. Mary’s University. Jennifer completed her practicum at Park with the Mental Health Team and then was hired as a Mental Health Float Counselor before landing in her current role. 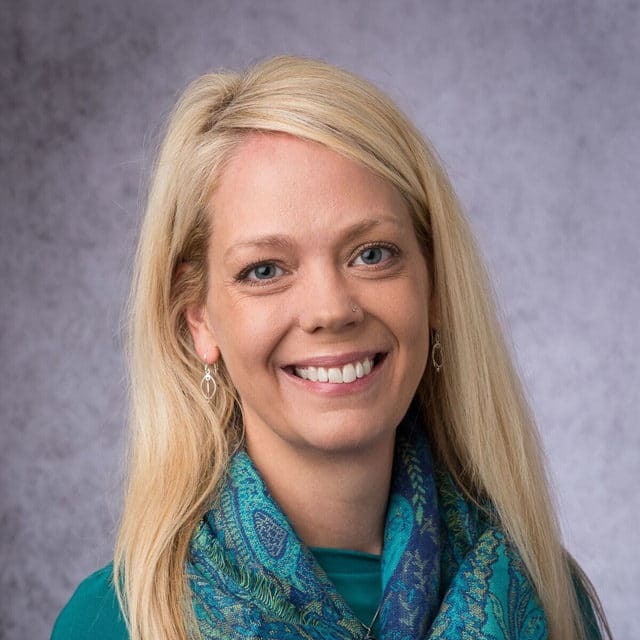 Prior to Park Avenue Center, Jennifer worked in outpatient treatment as a Program Counselor and Team Lead at River Ridge, Minnetonka. 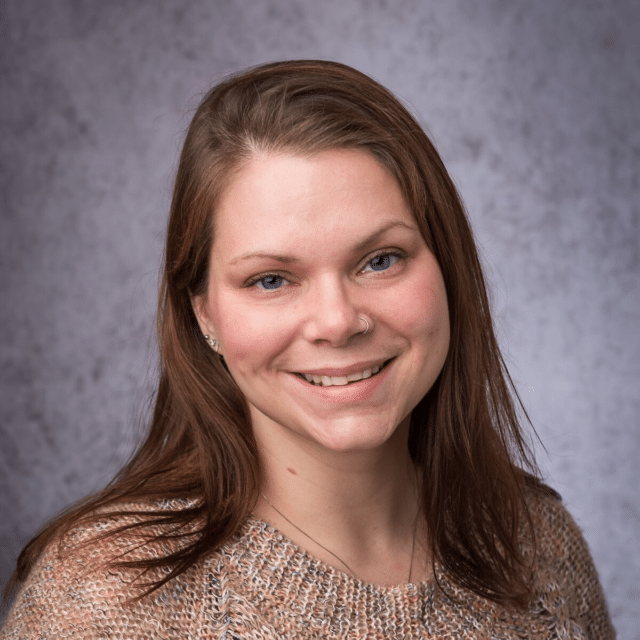 Jennifer is currently pursuing her LPCC licensure and has chosen to work for Park Avenue Center because it is at the forefront in MICD programming and for its passion of prioritizing the clients above anything else. Melissa obtained her Masters in Marriage and Family Therapy at Argosy University. 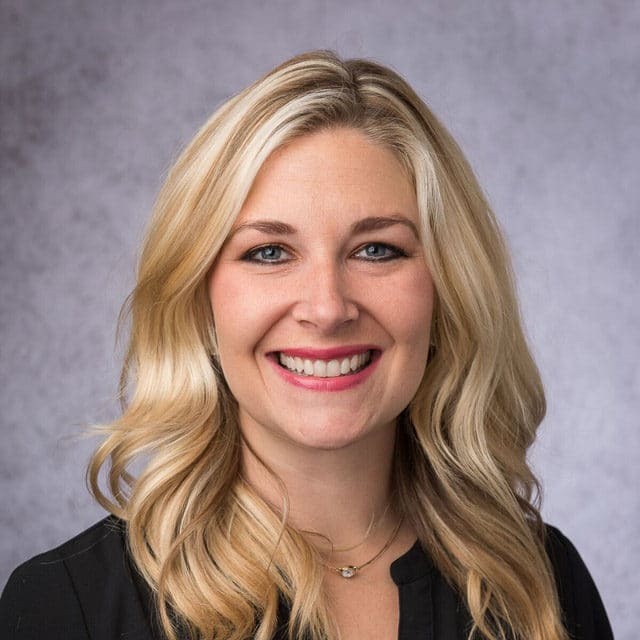 Prior to her current role, Melissa was an intern at Park Avenue Center, a member of the Marriage and Family Therapy Team, a Float Counselor, and a Co-occurring Counselor. Melissa is inspired to work in this field because she recognizes how important relationships matter and their influence on the individual in recovery. In her free time, Melissa enjoys spending time with her German Shepherds and figure skating. In 2007, she won the title of International Competitive Figure Skating Champion, with Team USA. Becky has over 20 years of experience in the chemical dependency treatment field. 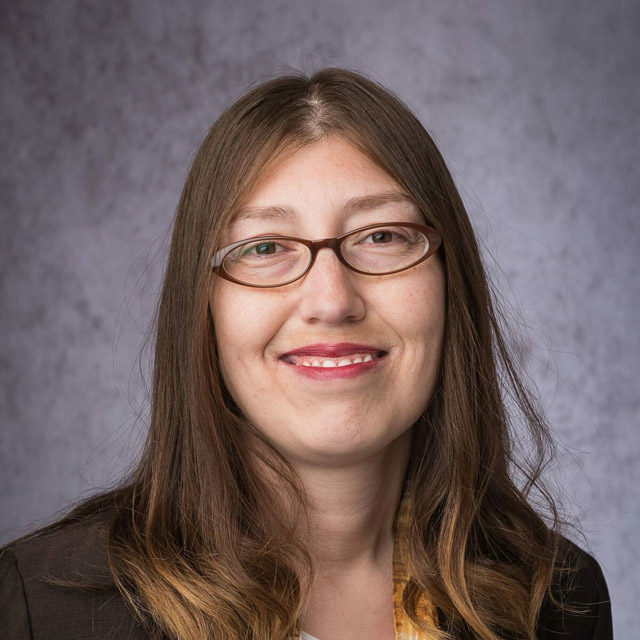 She earned her Bachelor of Arts in Human Services from Metro State University and later earned her Master’s in Human Development from St. Mary’s University. 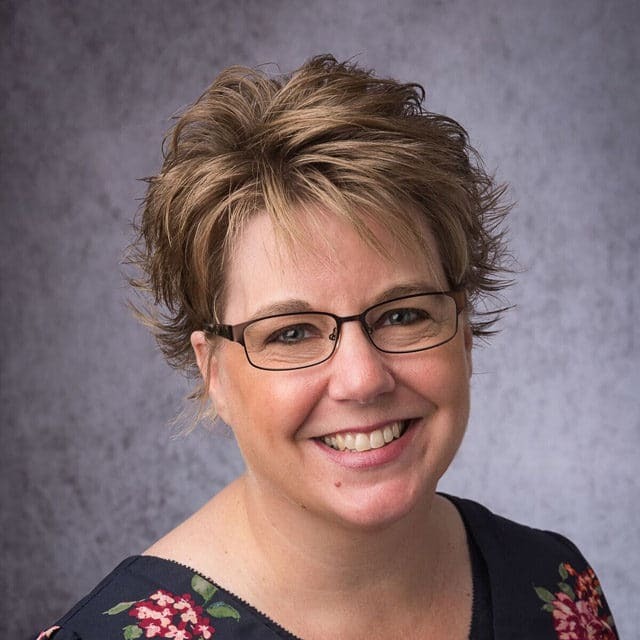 She started her career at Hazelden working in a variety of roles with the most recent being a Primary Unit Supervisor before transitioning to the Program Director at Maple Lake Recover Center for two years. Becky then made a career change working at Heartfelt Homes Inc. as the HR & Training Manager for eight years before coming to Park Avenue Center in 2011. Becky promotes a holistic view of wellness with clients. Becky has a busy life filled with dancing, singing, cooking, reading, and maintaining her entrepreneurial spirit with two small businesses. Katie graduated from the University of Wisconsin, River Falls with a Bachelor of Science. After an internship at Park Avenue Center, Katie obtained her LADC license and was hired to work as a full-time counselor. Katie was inspired to work in this field because of the variety of individuals she gets to meet and a passion for being able to see people change their lives. She chose to work at Park due to the wide variety of backgrounds and experiences the clients have. She considers her strengths to be her open-mindedness and client-centered focus. Kallie attended St. Cloud State University where she obtained her Bachelor’s degree in Chemical Dependency and Community Psychology. Prior to joining Park Avenue Center, Kallie worked as an Addiction Counselor at Hazelden for 2.5 years while serving as the primary handler for the therapy dog. One professional goal of Kallie’s includes continued growth in her career. She joined Park Avenue Center to help her in reaching this goal through experience working with a different client population. Kallie enjoys running, baking and crocheting during her free time. Traci obtained her Bachelor of Science in Criminal Justice from Baker College. She began at Park Avenue Center in 2009 as an Admissions Coordinator, before becoming Park’s Specialty Programs Coordinator. In 2015, Traci received an award from The National Society of Collegiate Scholars for her commitment to leadership and service. Traci has spent much of her time volunteering at different organizations such as Turning Point, Bolton Refuge House and Dorothy Day Center. Traci works in this field because she is passionate about helping others to realize they are capable of more than they believe. Outside of volunteering in her free time, Traci enjoys spending time with family, scrap booking, watching the Red Wings, and playing board games. Brittani completed her Master of Social Work at the University of St. Thomas. She previously interned at Park and we were pleased to have her return to join our Social Work team. She has most recently worked at Metropolitan State University as a Practicum Counselor. 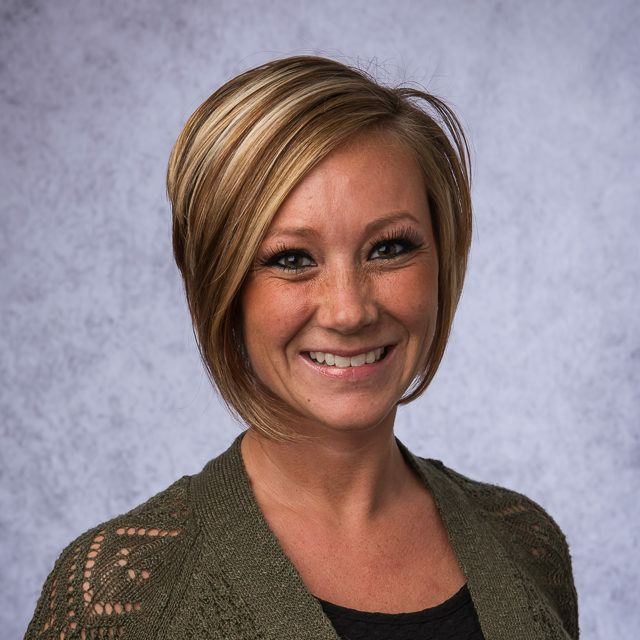 Brittani has experience working in the field of addiction and chemical dependency and child protection. She considers her strengths to be empathy and being open-minded and is a team player whose goal is to make a difference in the lives of the people she works with. She chose to work in this field because she is passionate about working with people and helping them find the resources they need to live successful lives. In her free time, she enjoys watching the Bachelor/Bachelorette and hanging out with her child and making music. 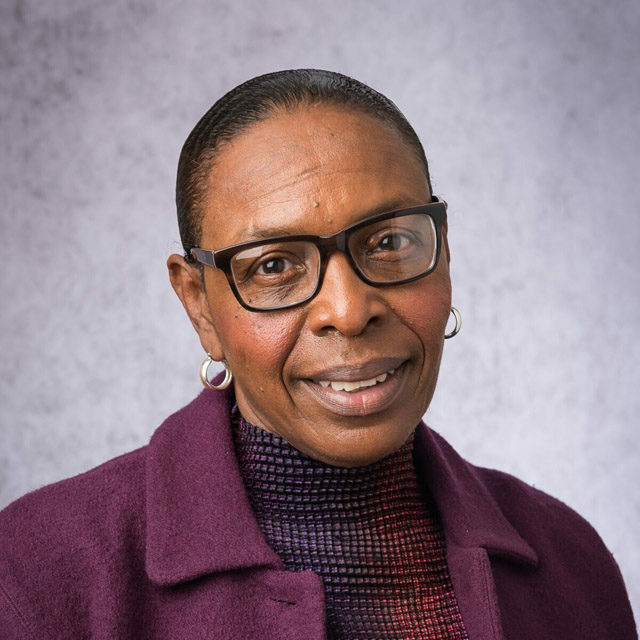 Cheryl earned her Bachelor of Science in Addiction Studies at Metropolitan State University and an Associate of Science in Chemical Dependency from Century College. 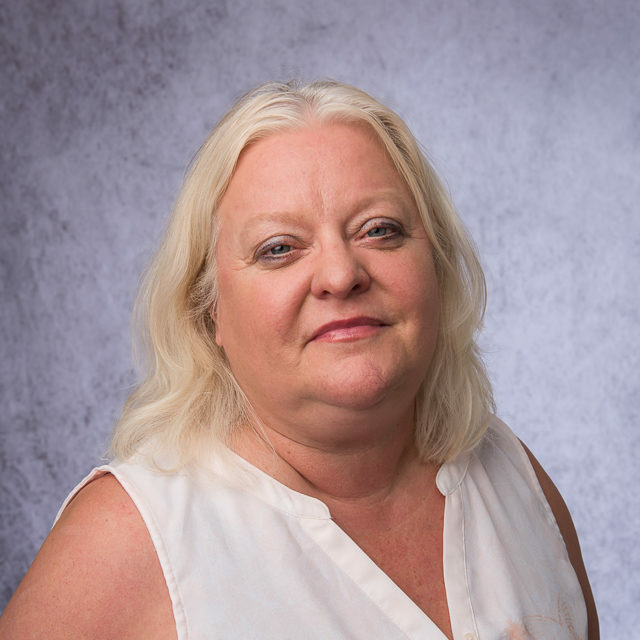 Prior to joining Park Avenue Center in 2014, Cheryl worked at Transformation House, Meridian Behavioral Health, Emma Norton’s Residence, and Health East Assisted Living. Cheryl is planning to become a licensed alcohol and drug counselor and looking forward to continuing her education towards an LMFT. 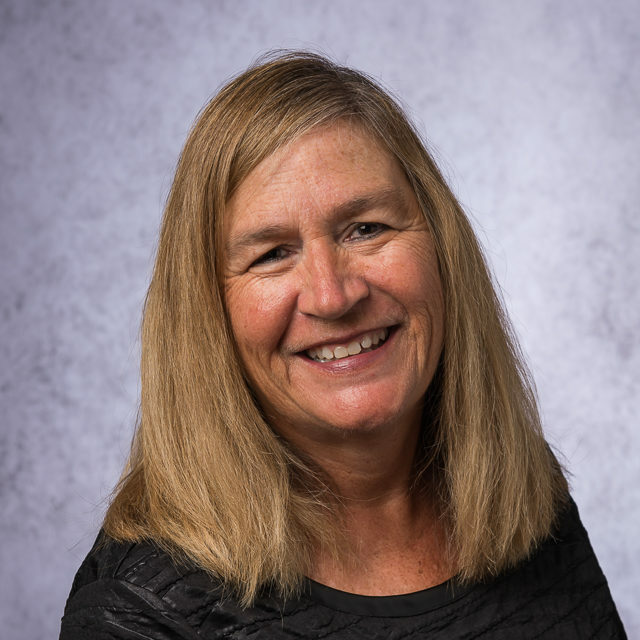 Cheryl enjoys working with clients in the Men’s Culturally Specific Program as well as working in a teaching facility where she learns something new every day. Aleda has over 20 years of experience in the chemical dependency treatment field. 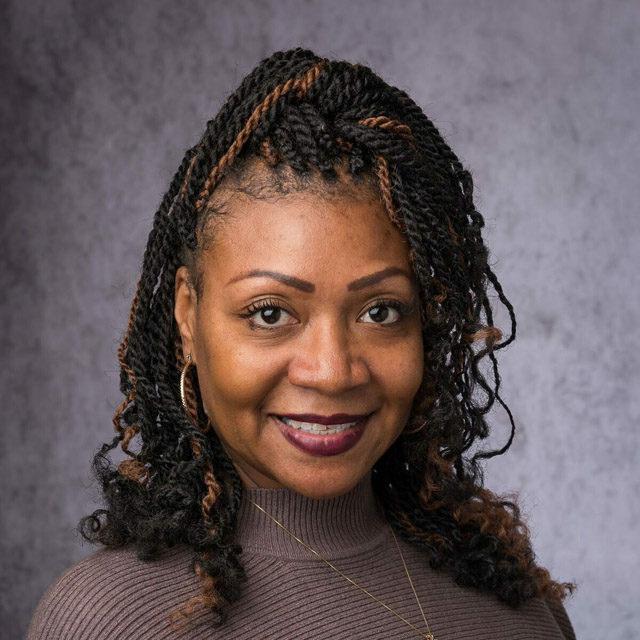 She obtained a certification in Chemical Dependency Family Treatment from St. Catherine University and graduated with a Bachelor’s in Counseling from Metro State University. 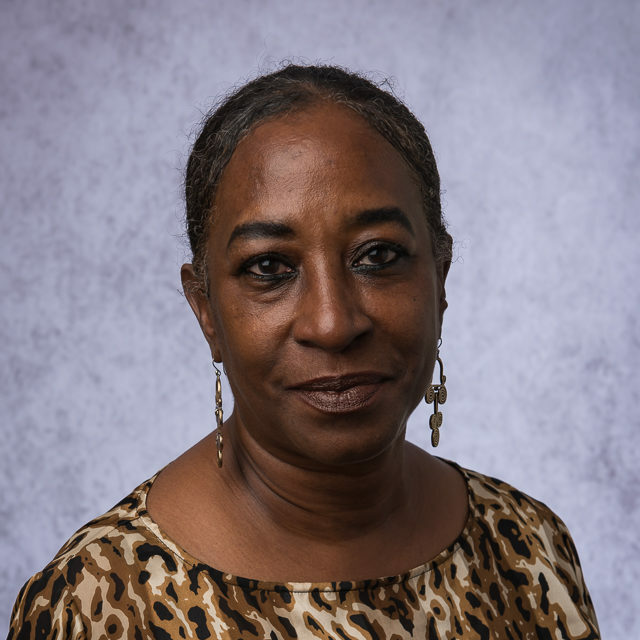 Aleda’s previous experience includes working at RS Eden and African American Family Services. In 2007, Aleda was recognized as the MAARCH Counselor of the Year. Aleda’s personal experiences are an important contribution to Park Avenue Center because she is an alumnus of its treatment program and can attest to clients that treatment does in fact work! 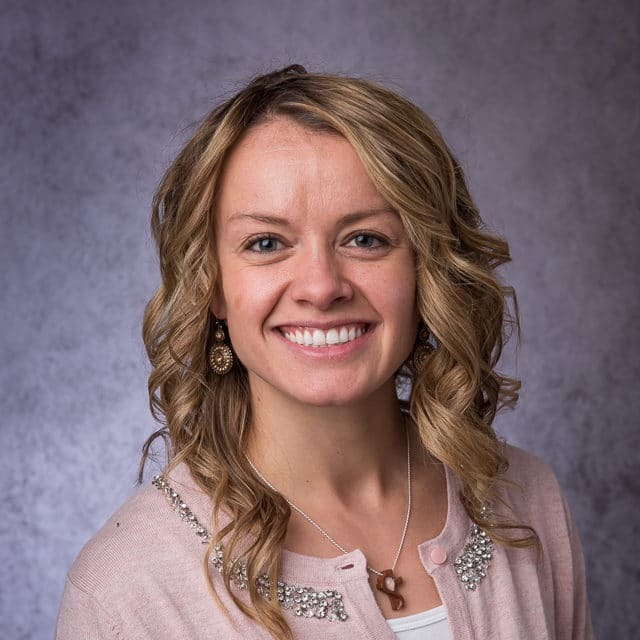 Kayla received her Bachelor’s degree in Psychology from the University of Minnesota and completed a Chemical Dependency Certificate at Century College. She is currently enrolled at Saint Mary’s University and is pursuing a Master’s degree in Counseling and Psychological Services with a goal to obtain her LPCC license. 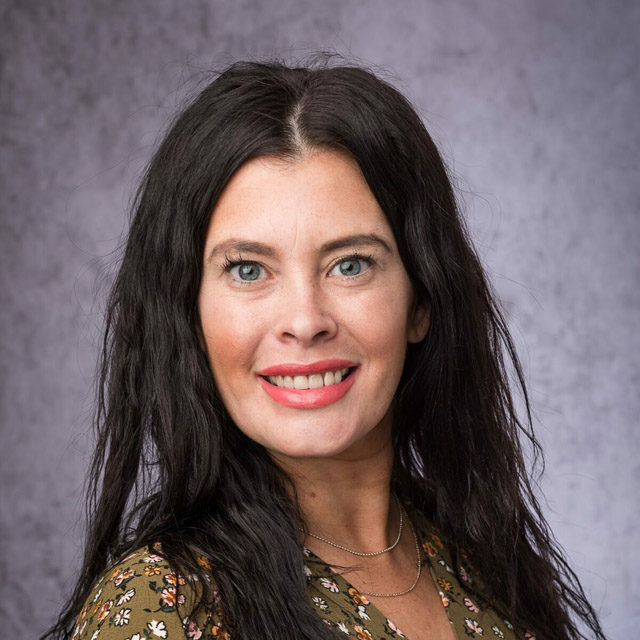 She most recently worked as substance abuse counselor with Allina Health-Unity Hospital and has previously worked with Park Avenue Center as an Intake Counselor and Co-occurring Counselor with our Women’s program. She feels her biggest strengths are her empathy, compassion, and ability to build trusting relationships and was inspired to work in this field due to her passion for working with clients with co-occurring mental health and substance abuse needs. In her free time, Kayla enjoys figure skating and traveling. Mike attended the University of St. Thomas where he obtained his Master of Arts in Counseling Psychology. His professional goals are to earn his LPCC licensure and gain experience with a large and diverse client population. Prior to joining Park, he worked as a Psychiatric Associate with Fairview and as a Youth Care Professional with Nexus Glen Lake. Mike considers some of his greatest strengths/skills to be his experience providing Existential, Narrative, and Psychodynamic therapies. He chose to work in this field because he is passionate about promoting self-awareness and change for people searching for ways to improve their lives. In his free time, Mike enjoys playing and watching baseball and football, reading books on world history, and creative writing. Daniel graduated with a Bachelor of Science degree from Metropolitan State University and has been working in the field since 2015. He most recently worked as an LADC for Options, MN and has specialized in working with adult men, SPMI, co-occurring, and TBI. He considers his greatest strengths to be his empathy, organization and determination. 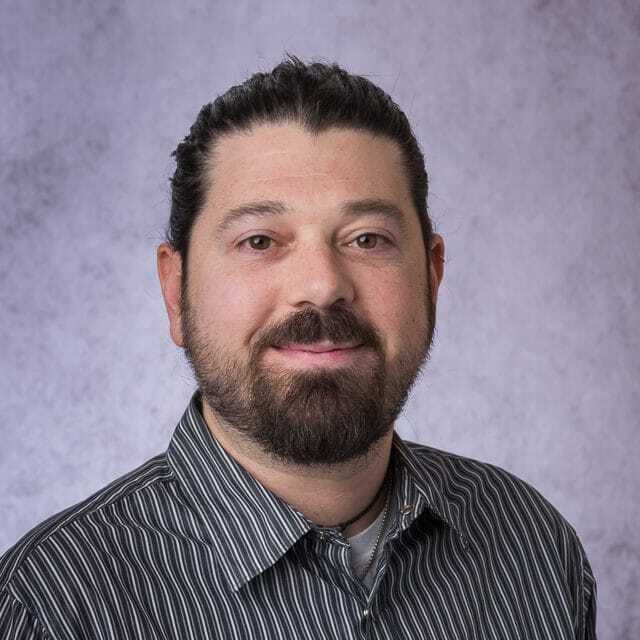 He was inspired to work in this field because of his strong desire to help others and is passionate about client care and empowering clients on their recovery journey. Ashley obtained her Associates of Science in Addiction Counseling from MCTC. Ashley began working at Park Avenue Center in 2015 as an intern where she transitioned to a Group Facilitator prior to her most recent role as a Counselor. Ashley was inspired to work in the field after being in recovery herself. She has compassion towards clients and displays this in her client first mentality helping others change their lives. 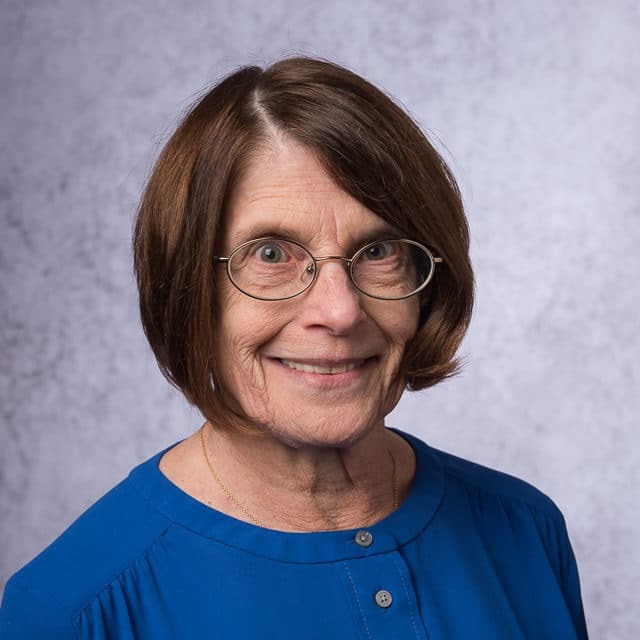 Diane joined the team in 2016 after obtaining her Diploma in Addiction Counseling at MCTC and Bachelor of Arts in Speech-Communication from the University of Minnesota. Diane chose to make a career change into this field due to her passion for helping others struggling with substance abuse and mental health issues. She feels it is essential to offer the best possible client experience as she is the first person the client interacts with at Park Avenue Center. Diane also enjoys volunteering with Help at your Door, a social services organization for homebound seniors. 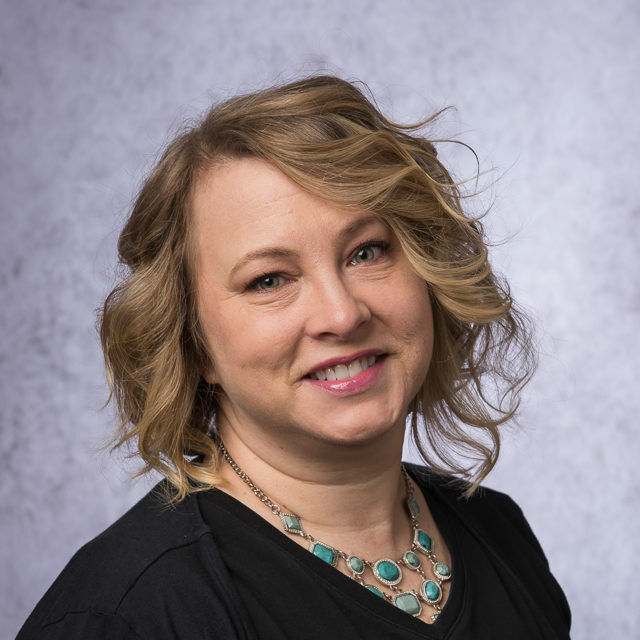 Jennifer Woods is a Licensed Alcohol and Drug Counselor who obtained her Bachelor of Science Degree in Alcohol and Drug Counseling from Metro State University. She’s been in the field since 2006 and has spent the bulk of her career in the hospital system with Allina Health working within her strengths of intake and assessments. Jennifer is passionate about working in treatment and helping clients get the help that they deserve the way that it was done for her.